Chennai is the capital of Tamil Nadu where you can find number of autonomous engineering colleges and Top ranked technical institute, IIT Chennai. Education system in Chennai is well developed with High literacy rate. The colleges in Chennai have gained much importance since they were the first to operate in southern part of India. The courses offered by the colleges in Chennai are Graduate, Post graduate, Doctoral and Diploma levels. Colleges in Chennai offer higher education through different mode such as regular studies, distance learning, certain colleges offer academic programs from their campus, residential academic centers and through affiliated colleges. Colleges in Chennai offer ample of courses which are really incredible. Colleges in Chennai every year produces large number of engineering graduates in India which attracts numerous software firms to set up their businesses in south India. Institutes with National importance and research centers of excellence are located in Chennai. Most of the colleges in Chennai have active placement cells which help aspirants in getting best career. Different colleges such as Engineering colleges, polytechnics colleges, humanities colleges and medical colleges are found in Chennai. The famous colleges in Chennai are Anna University, IIT Madras, Loyola College, National Institute of Fashion Technology, Central Leather research Institute and National Institute of Technology, Guindy. Well developed facilities like well-versed lecturers, libraries, modernized laboratories contribute in making best colleges in Tamil Nadu’s capital city, Chennai. Get connect to different colleges in Chennai which is Just a click away, StudyguideIndia will provide you the information as required by you. Information provided here is a clear one if at all you come across to know any errors kindly request you to let us know. 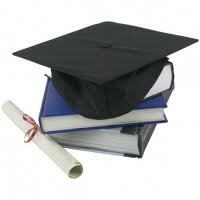 "Following is the list of Colleges in Chennai. All Colleges in Chennai are divided into Location wise. We have even listed College in Chennai as per alphabetical order which is easy to find the desired college and information on it. If you come across any College in Chennai which is not found from our list below, please do let us know by using add in list which is default in our website”.